OK, so wha happen wuz...I got an email this morning about SF Chocolate Week, which is coming up, and I started thinking about my favorite things from last year's Chocolate Salon. All day I was thinking about how to make some Vietnamese Coffee Truffles like the ones the amazing ladies at Socola make. These look more like actual truffles dug up by special pigs than Socola's beautifully enrobed delicacies, but boy-oh-boy do they hit the spot! 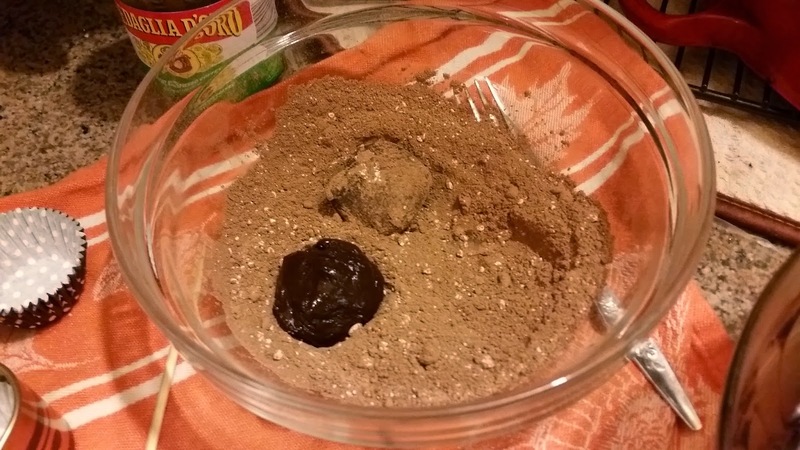 This is a small recipe that yields about 15 truffles, but it could easily be doubled. If you've never had Vietnamese coffee, run out and get some, STAT. It's strong coffee mixed with sweetened condensed milk. The mix of bitter, sweet, rich and creamy is out of this world. 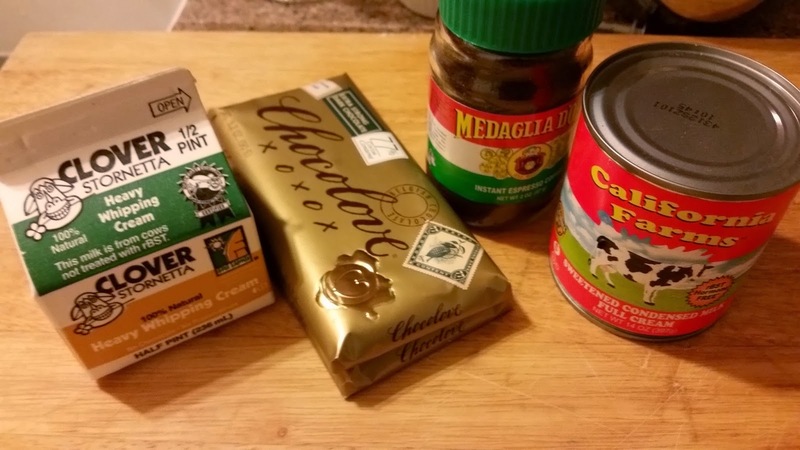 These are the ingredients for the truffles. I rolled them in a mix of unsweetened cocoa, powdered sugar and a hint more espresso powder, too. 6.4 oz very dark chocolate (this is 77% but anything from 70-90% is probably good. The condensed milk is sweet, so the chocolate should be on the bitter side of bittersweet). 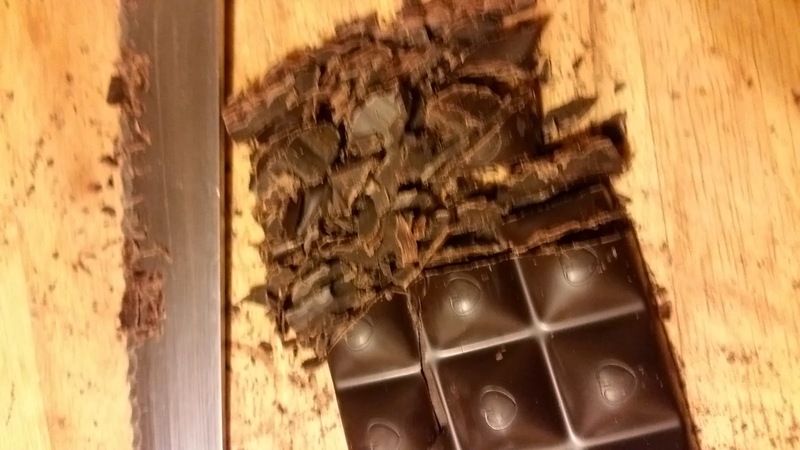 Chop the chocolate finely with a serrated knife and transfer to a glass or other heat proof bowl. Pardon the blurry photo - I was excited and it's a miracle any of them came out! When you're done chopping, heat the cream, condensed milk and espresso powder in a small pan over medium heat, stirring to combine. Watch carefully - you want it to just come to boiling, and when it does it may boil over quickly. 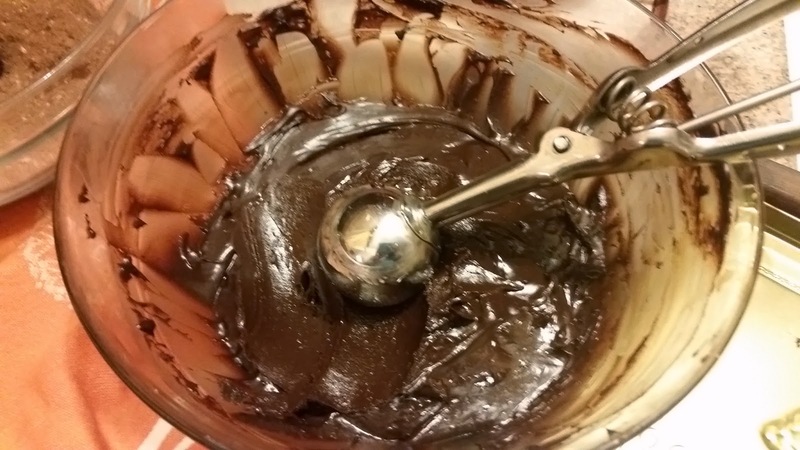 Pour the cream mixture over the chocolate and stir stir stir with a whisk or wooden spook like your life depends on it for a minute or two, until the mixture is smooth. Refrigerate the bowl for 30 minutes to an hour - if you refrigerate too long and it hardens up, you'll break your scoop like I've done once. Or twice. If you want to roll the truffles in cocoa, prepare a medium bowl with unsweetened cocoa, some powdered sugar and a teeny bit more espresso powder. 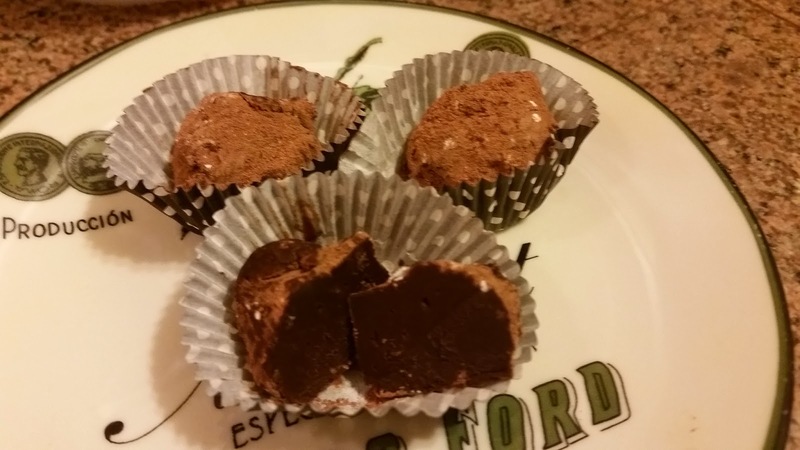 Using a small scoop or a tablespoon, scoop out the chocolate into small balls. Use your hands to help shape them - they'll be a little soft. Drop the truffles into the bowl of cocoa. Swirl the bowl around to cover them all over. 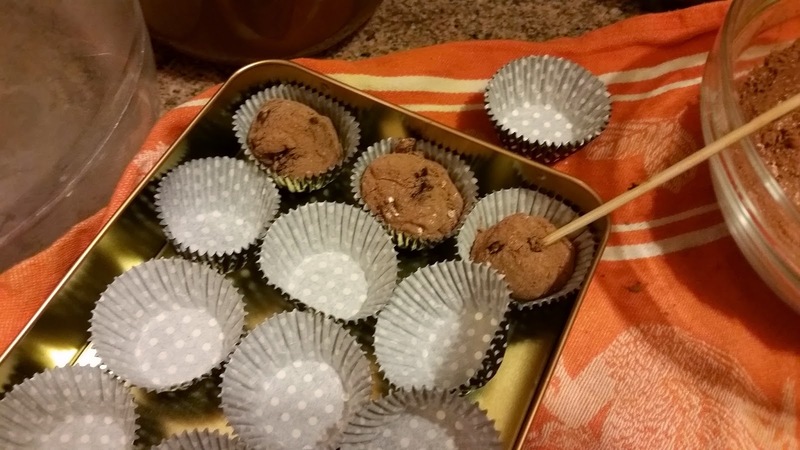 Using a skewer, a fork or a spoon, transfer each truffle onto a wax paper lined plate or into a mini cupcake/candy cup. Refrigerate the soft truffles for another hour so they set up. You may want to take them out of the fridge a few minutes before serving for best flavor. Food brings us comfort in many ways: by bringing us together, by helping us feel connected when we're alone, and by nourishing and healing us. I hope you try these recipes and bring a little more comfort into the world. Cheers!